I’ve been racking my brain to come up with a topic for my next article. My podcast, Lords of Limited, is my primary outlet for strategic discussions and finding space that doesn’t overlap with the information we give out there is hard. There is, however, a topic that is undeniably easier to digest in written form than in a podcast: What’s the Play Scenarios. 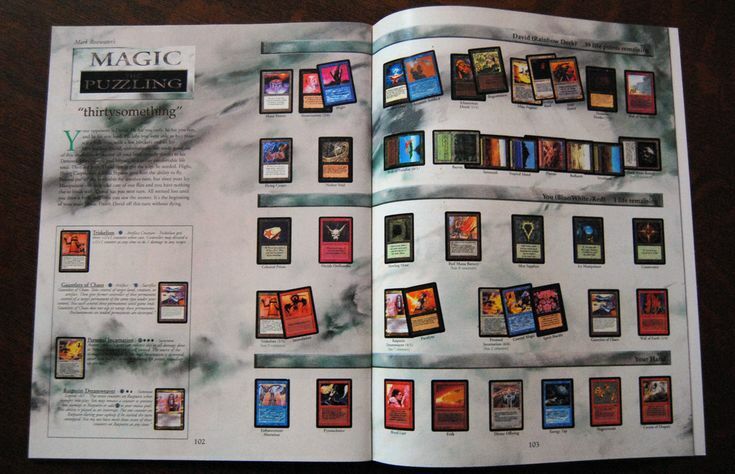 I remember way back in the day leafing through my older brother’s copy of The Duelist magazine to find “screenshots” of incredibly complicated boardstates. This was an old series by Mark Rosewater called “Magic: the Puzzling.” I doubt if I ever solved one correctly, or if I could help myself to not immediately go look for the answer, but those puzzles really stuck with me. Making the correct decisions on crucial turns is one of the most difficult skills a Magic player has to master. It is certainly one in which I feel like I have a long way to go. So, perhaps selfishly, I am interested in bringing some tough decisions here for you to have the opportunity to not only force myself to articulate my own thought process but to hear what you might have done in my position. Without further ado, let’s dive into our first ever Limited Edition What’s the Play? You are piloting a fairly weak UW deck. This draft did not go well, and looking back, I would have navigated it in a very different way. A couple late Aethershield Artificers on the wheel in pack 1 led me to believe that UW artifacts was open and I spent the rest of the draft scrapping for any artifacts to turn on my payoff cards. I finally managed to find three Aviation Pioneers in pack 3, but the deck was severely lacking in power and removal with my only ways to interact being Disperse, Mighty Leap, and Totally Lost. I somehow find myself in game 1 of the finals after going 2-1 in both of my previous matches. As I said, it’s game 1 of the finals. Our Villain (in poker, when people recount hand histories, they use the term “Hero” to refer to themselves and “Villain” to refer to their opponent.) seems to be on RG stuff with no apparent 4-power payoffs, though the Onakke Ogre on their side of the battlefield leads me to believe there might be a Colossal Majesty, Sarkhan’s Unsealing, or Goreclaw, Terror of Qal Sisma hiding somewhere in their deck. After getting in a bit of damage with a thopter token that is now deceased, the board has stalled out for a few turns. Two turns ago, I drew Aethershield Artificer and began cracking in with a 7/7 indestructible Gearsmith Guardian. My opponent, who has had Ghastbark Twins in play for a few turns, decides that now is the time to send it into the red zone. To quote the great William Shakespeare, “To block, or not to block. That is the question.” What’s the play? Why has my opponent decided to attack THIS turn? The Ghastbark Twins have been in play for a while and only now do they decide to turn the treefolk sideways. My guess is that they recognize this Aethershield Artificer + Gearsmith Guardian combo is going to quickly put them into The Abyss or kill them, so they’re trying to make any profitable attacks they can. There is also the possibility, with two cards in hand, that they have a way to interact at instant speed, some way to protect this attack from my possible blocks. In Red, they could have Sure Strike or Shock (I am choosing to rule out anything that deals 3 or more damage since I believe they would choose to just take out the Artificer altogether if they had the option), and in Green they could have Titanic Growth. Sure Strike is obviously a huge blow out if I go for any kind of multiblock. I have exactly 11 power available to me in blockers, so if I lined everyone up, I would play around both Shock and Titanic Growth as potential tricks for my opponent. There’s also the distinct possibility that they don’t have anything and are just trying to clear the board or get in for 7. So, that leads me to this conclusion: if I’m going to block, lining up all 6 of my creatures is the correct way to block. There’s also the very real choice of NOT blocking. What happens if I don’t block at all? Assuming my opponent is not insanely flooded, they have something to play post-combat. Either they’ll deploy a creature, or I will strongly believe them to have one of the aforementioned instants in their hand. Field Creeper in my hand is largely irrelevant, and I know my deck has basically no removal. I can hope to draw Totally Lost to buy myself two turns from the Twins before they enter the red zone again, but there’s only a 5% chance of that. Assuming they deploy any creature, I will have one, maybe two profitable attacks. I will definitely be able to attack with my 7/7 indestructible Gearsmith Guardian, and if they only have creatures with toughness 3 or less, I can attack with Scholar of Stars. Maybe Scholar gets in for 3, they chump the Guardian and then I’m right back where we started next turn when they turn the Ghastbark Twins sideways. EXCEPT if I attack with Scholar, I will now not only get blown out by Sure Strike if I decide to multiblock, but also Titanic Growth. My life total is very healthy right now at 21, but it does not take many attacks from a 7/7 with trample for me to be up against it. If I had a couple Luminous Bonds in the deck I could see taking 7 one time and then reevaluating after my draw step, but I don’t have that luxury. I have no plan for this creature. If I want to deal with Ghastbark Twins this game, and I believe I have to, my way to do that is to kill it in combat. And if I’m planning to do that, I might as well do it now, rather than next turn as my deck is very unlikely to provide me with the perfect one-for-one answer to this threat. I lined up all my creatures to block and they did not cast a trick. I lost Aethershield Artificer, Scholar of Stars, and Aviation Pioneer. They deployed Colossal Dreadmaw post-combat. The game stalled out for a few more turns until I drew my second Artificer and was able to push through attacks for the victory. Kris Beverly gives us a look at the most useful combo deck ever: the one that pays for your beers.